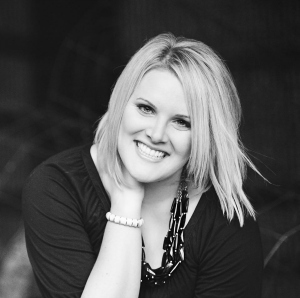 Life of Meg: Mingle Monday Blog Hop + Giveaway Winner! I also have a portion of my planner where I jot down blog ideas that randomly come to me. I keep a note book that I write in when inspiration strikes! I hash out a ton of posts that way! I get inspiration from whatever is going on in my life! Have a great Monday! Great blog! I get inspiration from fellow bloggers, pinterest and from things that are going on in my life. It's hard to say where I get my inspiration from...sometimes from other bloggers, a lot of times from life, and sometimes an idea will come after hearing something on the radio or something someone mentioned in passing. And I think, hey... I could write about that! Well, of course I get my blog inspiration from other awesome blogs like this one! :) And, Pinterest too. HEH. I just linked up! I typically get my inspiration from reading other blogs :) lately Ive been doing a TON of prep for my backpacking adventure this summer so Im focusing on posting the helpful things I learn as I stumble along haha. Thanks for an amazing link-up! I get my blog inspiration from my life, magazines, articles I find on twitter, DIYs from pinterest and most importantly from other blogs! My inspiration comes from life experience, magazines, Twitter, blogs I <3, and Pinterest. Happy Monday!!! I get my inspiration from what I currently experience and/or learn everyday. I get my blog inspiration from everywhere! Family, things I see, what I read, bible study,and sometimes just my completely random thought process! This month I've been doing Blog Everyday in May - and I get prompts for each day. Which is SO HELPFUL! But beyond that, I just blog about what I've been thinking about and random events in my life. If you have any suggestions for good inspiration though I'm always open for new ideas!